The following public education programs scheduled by VCE Master Gardeners in Arlington and Alexandria in October 2018 are open to all, but space may be limited. To reserve a spot, please register online. Friday, October 5, 8:30 a.m. – 3:30 p.m.
A day of fun, food, and learning on topics ranging from urban agriculture policy and innovation to vertical gardening, indoor and rooftop farming, soil health, agriculture business development, private and public community garden management, food waste recycling, season extension, edible landscaping, and building horticulture literacy. Keynote speaker will be Dr. Jewel Bronaugh, Virginia Commissioner of Agriculture. The 2018 symposium is sponsored by Virginia Cooperative Extension, Master Gardeners of Northern Virginia, Bushel, Greenstreet Gardens, Love & Carrots, Rooftop Roots, The Fertilizer Institute, and Virginia State University. Registration is $30 plus $2 credit card fee. Registration on the day of the event starts at 8 a.m.
For more information call 703-228-6414. 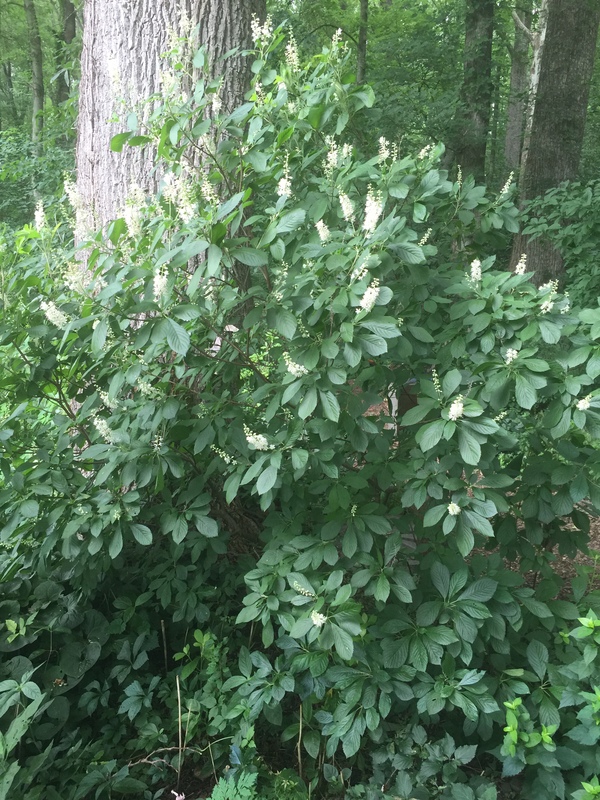 Clethra alnifolia in woods in July, Meadowlark Botanical Gardens. 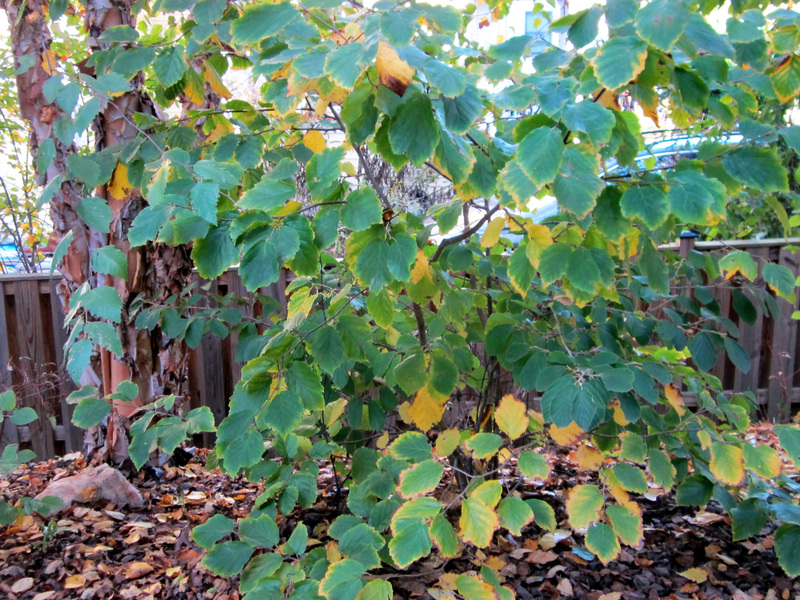 A variety of native shrubs thrive in our area that can provide beautiful structure and ecological function to your yard. Extension Master Gardeners will teach you how to identify which shrubs will do best in your site, how to select shrubs for your landscape goals — whether you want to create wildlife habitat and attract birds and pollinators, provide screening or a focal point, or just find the right shrub for a problem area — and how to maintain your shrubs to keep them healthy. Free. Advance registration requested at mgnv.org. Sunday, October. 14, 1-3 p.m.
Fall is a great time to see the demonstration gardens in Bon Air Park. Extension Master Gardeners will show children leaf-rubbing, give tours, answer questions, give away seeds, and raffle off a few plants. No matter your growing conditions, this is the place to get ideas for your garden. Free. Questions? Telephone 703-228-6414 or email mgarlalex@gmail.com. Tuesday, Oct. 16, 7-8:30 p.m.
Fall is an ideal time to plant trees, shrubs, perennials, and even vegetables. Learn easy tips from Extension Master Gardeners for onsite composting, providing winter habitat and food for wildlife, and end-of-season care of tools and equipment. We’ll also help you identify great plants that can add interest to your yard during the gray doldrums of winter. Check out our Plant Clinics! The VCE Horticulture Help Desk operates year-round and we welcome your garden-related questions, including those related to plant and insect identification. The Help Desk is staffed from 9 a.m. to noon weekdays at the VCE office at the Fairlington Community Center, 3308 S. Stafford St., Arlington, 22206. Contact us at 703-228-6414 or mgarlalex@gmail.com, or drop by to speak with our Help Desk volunteers. It’s best to call before you come to make sure we’re available. October 3: Growing Season Extension and Winter Sowing. Presented with the Arlington Food Assistance Center (AFAC). If you are a person with a disability and desire any assistive devices, services or other accommodations to participate in this activity, please contact Arlington County Cooperative Extension 5 days prior to the event at 703-228-6400 or *TTY 800-828-1120 during business hours of 8 a.m. to 5 p.m. to discuss accommodations. Virginia Cooperative Extension is a joint program of Virginia Tech, Virginia State University, the U.S. Department of Agriculture, and state and local governments. VCE programs and employment are open to all, regardless of race, color, national origin, gender, gender identity, gender expression, religion, age, disability, political affiliation, sexual orientation, genetic information, veteran status, or any other basis protected by law. An equal opportunity/affirmative action employer. Issued in furtherance of Cooperative Extension work, Virginia Polytechnic Institute and State University, Virginia State University, and the U.S. Department of Agriculture cooperating. Edwin J. Jones, Director, Virginia Cooperative Extension, Virginia Tech, Blacksburg; Jewel E. Hairston, Administrator, 1890 Extension Program, Virginia State, Petersburg. This entry was posted in Public Education Events, Shade Garden, Sunny Garden, Urban Agriculture and tagged 2018 Arlington/Alexandria Urban Agriculture Symposium, Native shrubs, Putting the garden to bed, Quarry/Shade Garden and Sunny Garden at Bon Air Park, shrubs, winter sowing. Bookmark the permalink.